According to the 2016 World Happiness Report, Denmark takes number one as the happiest country. Following Denmark, Switzerland, Iceland, Norway, Finland, and Canada are at the top of the list. The distribution of happiness report was written by John Helliwell from Canadian Institute for Advanced Research and Vancouver School of Economics at the University of British Columbia, Haifang Huang of University of Alberta Dept. of Economics, and Shun Wang, of KDI School of Public Policy & Management, Korea. The main purpose to decide the happiness was decided upon individual evaluation. To tie into that, additional variables were taken into consideration: social support, GDP per capita, freedom, kindness, life expectancy, as well as issues being present or not. The results came from data of surveys conducted between 2012 and 2015. The data was retrieved from 157 countries, with a sample size of 3,000. Elements that were measured were life evaluation and a series of questions asked based on life purpose. After conducting the surveys, the data was spread from all countries and showed the impacts on each variable taken into account. The regression table showed that variables Freedom to make life choices (p=.039) and Generosity (p=.032) made the most influence on positive effects of the individual’s happiness. In terms of measuring the ranking of countries, the data regression table also had a column that measured average ladder score (the average reply to the questions asked from the survey) for every country. Then each country’s data was divided by bars on the table which represented each of the 6 variables measured, as well as a 7th bar to represent the sum of life evaluation & the life evaluation prediction error. Based on these measurements, European countries ended up with the highest results of happiness. 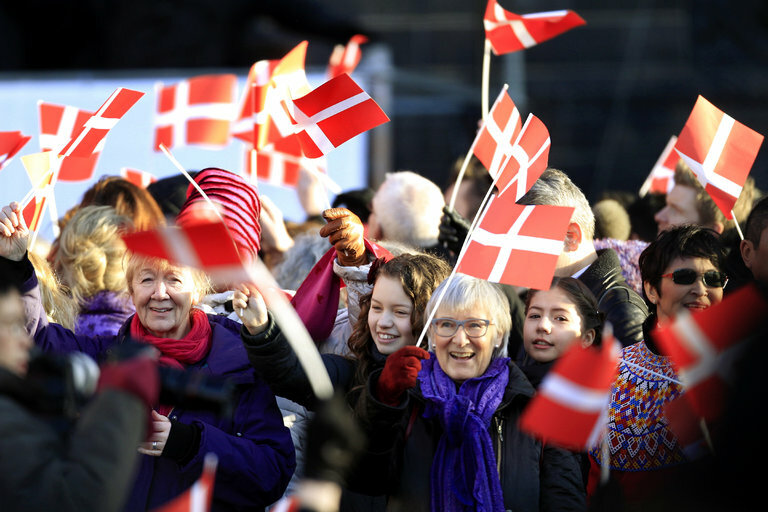 Life expectancy, generosity, GDP per capita, and the other variables measured the highest for Denmark (score of 7.526 out of 10). Naturally, this makes sense as Denmark and the following countries are all European. These results are fascinating to me because the same top countries have been the happiest for years now, but it’s a matter of the countries swapping places within the top of the list as each year goes by. After learning what goes into ranking the happiest countries and which ones were the happiest, I also began to wonder some additional factors. For example, the results show that for years, European countries have been at the top of the list, and those top countries switch rankings each year varies-but what makes the switches occur? A source from LiveScience infers that researchers found that the yearly changes happen from averaging sample size. So, the main variables measured (GDP per capita, generosity, life expectancy, etc) remain the same, but it is a matter of how many people are measured for each country to determine which country gets the number 1 spot. Another remark from the article caught my eye, which stated how researchers found that the population tends to be happier if they live somewhere where there is an even spread of happy people. An article from The Telegraph explains how Denmark’s taking #1 comes from the same variables stated from the 2016 World Happiness Report, but it also includes some more interesting information. It describes how other crucial factors add to the decision, such as the welfare and healthcare systems-which has led to Denmark’s wealth gap very small compared to other countries. An additional source claims results from another article that gives more factors that are believed to have been part of the formula why Denmark was #1, such as their culture, their level of volunteering population, and the fact that a large portion of their population bikes (which leads to a longer life expectancy as they are more fit). These are all elements that I had not thought about, but it all makes sense when it all adds up. Thinking about it, The United States has an obesity issue, and adding other factors measured, I’m not surprised that Denmark is #1 and America isn’t. Next time I think about traveling somewhere outside the country, I’ll highly consider thinking of somewhere in Europe from the top of the list to not only get an amazing experience being in Switzerland, The Netherlands, Denmark, etc, but to experience what a genuinely happy country looks like. I took a glance at the World Happiness Report for 2015 to see any differences or similarities, if you also wanted to check it out! This entry was posted in Uncategorized on October 19, 2016 by Naseem Memari. This reminds me of a concept that I learned about in my Econ 104 (macroeconomics) class called the Gross National Happiness index (more info http://www.grossnationalhappiness.com/articles/). It’s an index that was created by the former King of Bhutan during the 1970’s that measures factors outside of traditional economic indicators to gauge true happiness among a population of people. GNH is primarily consistant of four “pillars”: sustainable development, preservation and promotion of cultural values, conservation of the environment, and establishment of good governance. Although it is rarely used as a serious measure of economic well-being, it does beg the question of whether or not we are measuring the well-being of a country correctly, and whether or not the policies we implement in order to try to increase GDP are actually making Americans a happier people. I loved this blog. I am very intrigued by the concept of the science of happiness.. I even wrote my own blog on it! I found this blog especially interesting because it made me think about all of the third variables that would determine an individual’s, as well as a country’s, happiness. Furthermore, although you named an abundance, how can we truly measure such a variable thing as “happiness?” The emotion is so dependent on the individual that it seems like a large obstacle to quantify. This article (https://hbr.org/2012/01/the-science-behind-the-smile) discusses an interview with Dan Gilbert, an eminent positive psychologist, and how he tackles measuring happiness. In his opinion, a large enough sample size, such as an entire country, makes up for the nuances between individual happiness preferences. I think is a complex question to answer, mostly because happiness is such a complicated human emotion. Everyone has different definitions of happiness and attempting to measure it can be pretty difficult. I think that the researchers did a good job of looking at other variables that may lead to happiness, but I don’t know if all together they can point to the “happiest” country. I think they’re all just variables and factors that may or may not indicate the happiness of their people. I also think that variables like kindness and generosity, which were measured, are difficult to determine. People have very subjective views on subjects like that. What is kind to one person is not kind to another. Finally, I find it interesting that it seems to be European nations that come out on top here. I wonder if it has to do with size in this case. In America, there are simply more people to be unsatisfied; it’s a massive country. Some of the European nations mentioned here are smaller. From an anecdotal experience I can attest that European countries come off as happier. This summer I was lucky enough to visit my friend and his family in France. We traveled all throughout Europe and visited cities such as Toulouse, Paris, Barcelona and London. One thing that shocked me was how happy and laid back everyone seemed to be. From store clerks to college students everyone came off as much more content with life than they did in America. I think that the section of this blog that cites the strong welfare and healthcare systems as a possible factor is extremely accurate. Another explanation that I thought of while visiting was that their society is slightly different than Americas. The social norms result in a majority of the population pursuing what makes them happy, instead of what will make them rich. For example, my friends cousin is an intelligent 19 year old kid who did well socially and academically. His dream was to own his own farm alongside his grandpa. Instead of ignoring this dream to go to college, he simply graduated from high school and started his own farm. I know this example is anecdotal, but i think it speaks to the argument that European society allows people to do what makes them happy. To me it seemed that instead of chasing money, they chase happiness.